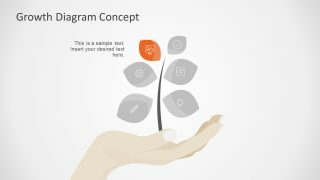 The 6 Step Growth Concept Diagram for PowerPoint is a tree metaphor template. The leafy plant on the palm of a hand is the symbol of profit, financial success and improve performance in business. 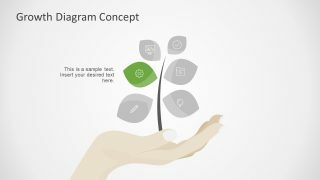 likewise, the 6 step growth concept PowerPoint can make a brilliant slideshow for personal development and transformation. 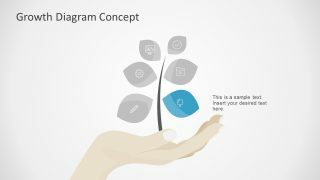 The leaves representing infographic units which may help display the milestones of business, project or life. 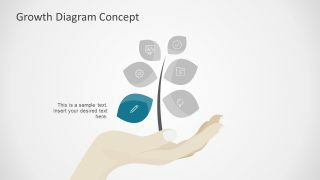 The 6 step template contains individual graphic slides to highlight each of 6 segments of PowerPoint tree diagram. 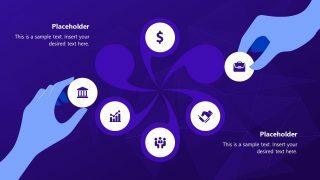 Therefore, the growth PowerPoint template is useful for comprehensive business concept diagram presentation. For instance, the cover slide shows the main design layout of the entire presentation. While its subsequent six slides let the presenter explain each phase of growth and development respectively. 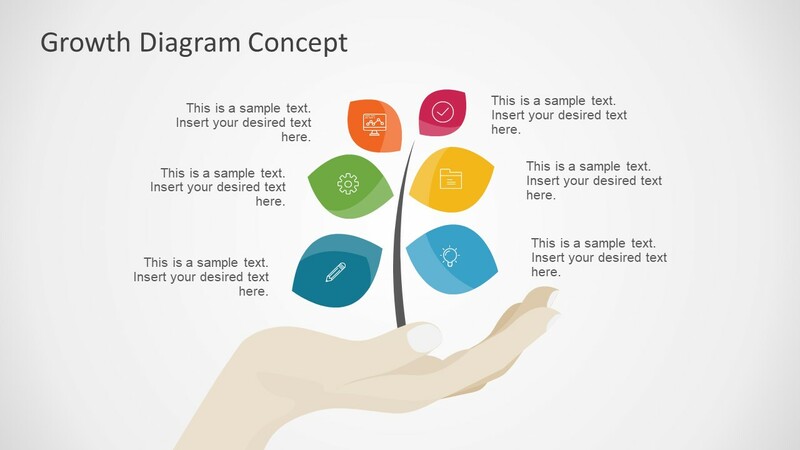 The 6 Step Growth Concept Diagram for PowerPoint shows progressive layout design. The tree diagram template with plant over the palm of hand also illustrates the safety and protection in metaphor PowerPoint. For example, displaying the business or personal growth in a positive and safe environment. While the other possible practices may include business stages, product and service features or growth cycle. 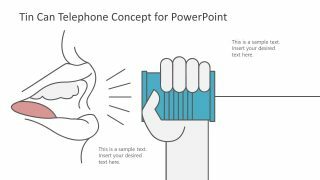 It is a clean and simple editable presentation of vectors in PowerPoint. 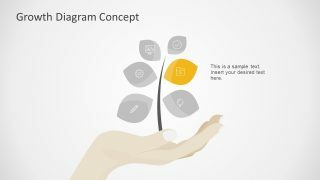 The growth concept diagram of PowerPoint is creative design for establishing future goals. 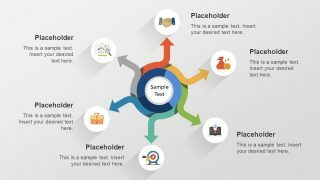 The use of infographic elements like gears, lightbulb, and trend analysis chart assist in understanding technical terms. These icons are accessible for business concepts to visually inspire viewers. 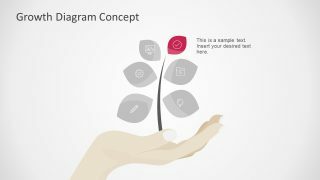 The SlideModel has many tree templates including 5 stage growth concept PowerPoint diagrams. The template contains individual segments of 6 step growth concept. Therefore, the users can make quick alterations to the design. For example, the color of leaves and icons inside. Or, customize the background, and presentation theme from design menu. 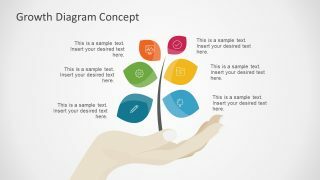 It is innovative 6 step growth concept PowerPoint diagram for business professionals like consultants and managers. 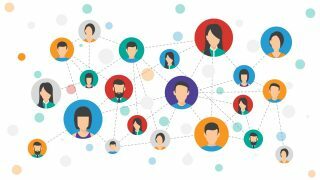 They can display achievable goals, objectives, and value chain process to their relevant audience.